My favorites where MAC lippies are concerned have seldom confirmed with the societal norms. Ok that would be taking it too far. 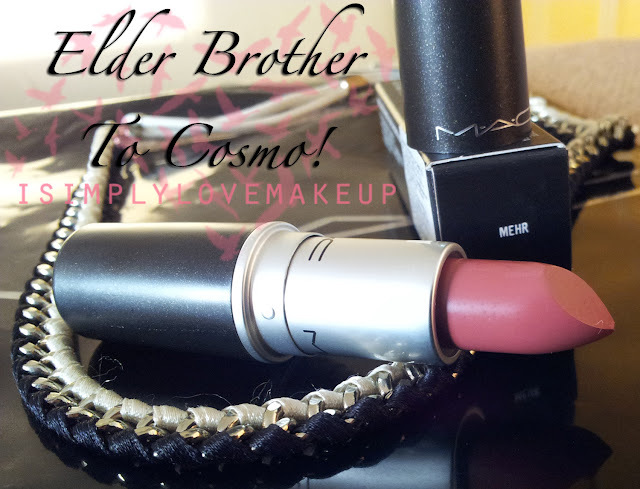 What I mean to say is that my choice of lippies from MAC at least have never come in the "Must Have" list conjured up by biggie beauty bloggers and neither have they been popular enough for me to find their reviews readily available on beauty blogs. MAC Chili? MAC Touch? MAC Taupe? 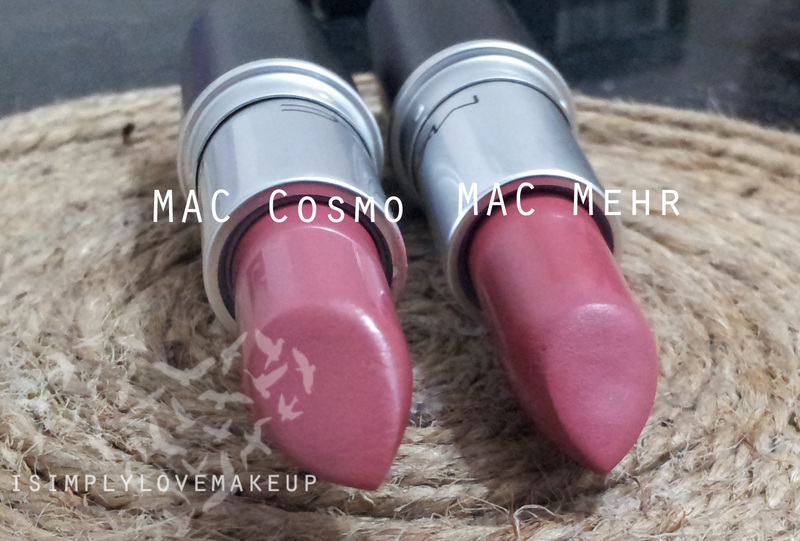 In an attempt to be a "part" of the crowd, I got myself a MAC Cosmo and oh dear what a waste it would have been if it had not been for my mom! I hated it and it hated me! 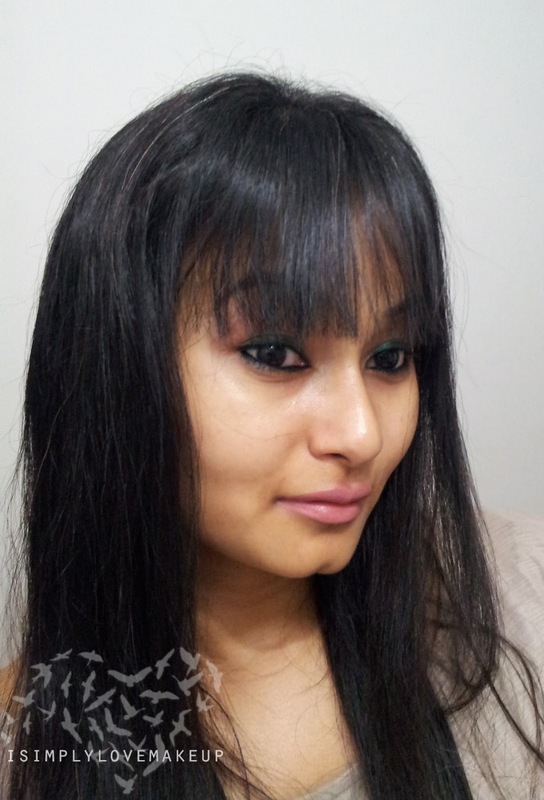 It made me look jaundiced and I made the most popular Indian lippy look like it was carrier of Jaundice! But it suited my mom wonderfully and so my 990 bucks were saved from wastage! Not having learnt my lesson yet, I went and got yet another popular lippy shade in the Indian beauty circle i.e. MAC Mehr. When I swatched it on my hand it was a gorgeous dirty pink and I convinced myself it would look gorgeous on me. I went a step ahead and tried it on me as well and even though it washed me out, I persuaded myself into buying it by saying that it was the "lighting in the store"... Dumbest Move EVER! 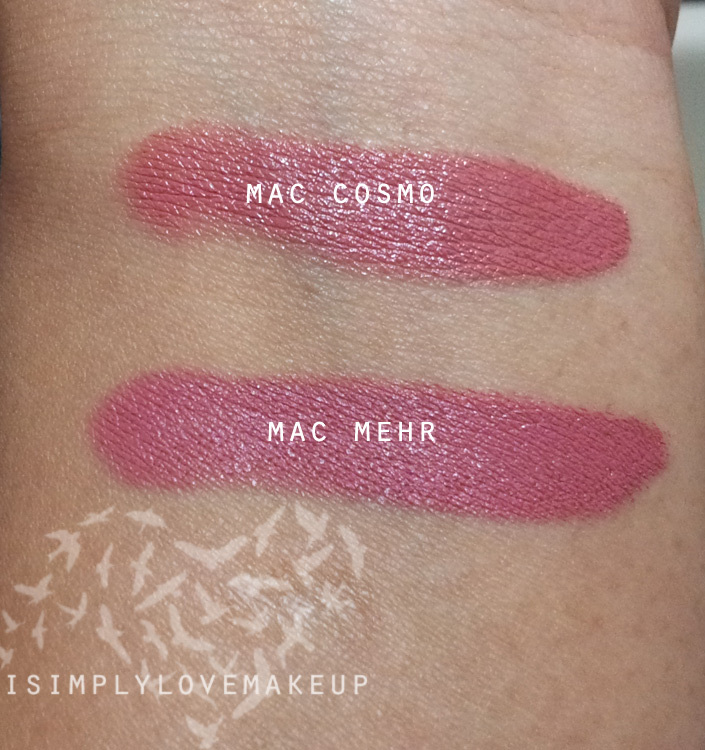 As can be seen in the swatches above, Mehr is a little more pinker that Cosmo. Without flash, the lippy still looks decent on me but in flash it makes me look like I should go see a doctor PRONTO! I lik you more in bright colours! Mehr is not made for you! ya its kindof washing you out with flash! This looked terrible on me and I was like WTH! Whts the fuss all about!! Cosmo doesn't work on me too. It looks too dark on me and takes on this weird reddish hue. 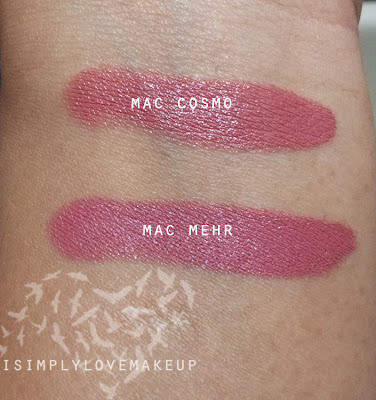 I have swatched Mehr at the store & I don't think it is going to work either. I've also noticed that shades that seem to work for me are not the most popular shades either - Hot Tahiti, Retro, Rebel, Viva Glam I, Lustering, Morange to name a few. haina haina haina? Morange works for you? i looked like I was dead when i tried it :P Gosh! 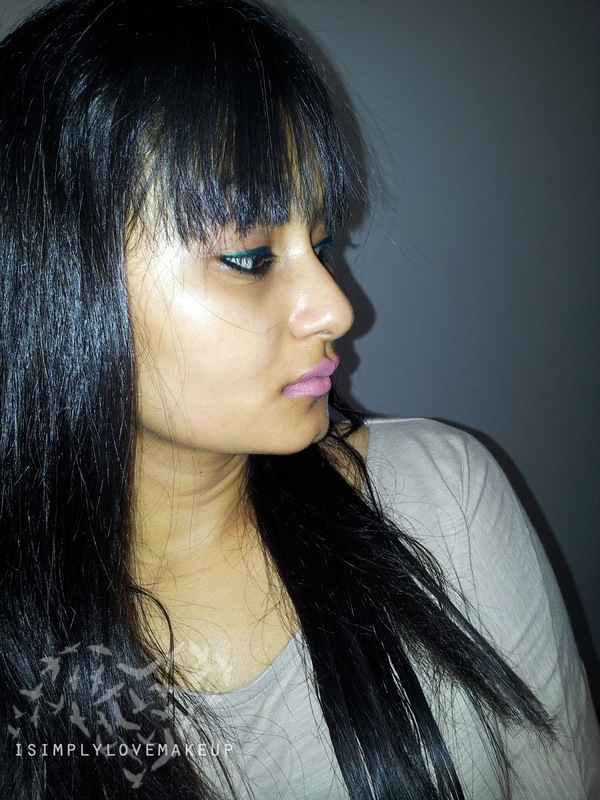 its sucha task to choose a lippy that looks good on you na! I was shocked out of my wits when I applied Morange. Till that point, I had refused to even swatch it on my arm coz I was sure that it wld look terrible on me. But one fine day I mustered the guts to try it, and it was a revelation. Its so strange that you never know how a shade will look on you until you try it , n I feel looking at Lip swatches does not help at all .. cos it may change for u altogether .. I got Touch after seeing it on you, it looked awesome on you and on me, made me look older, gave it to my mum .. My fave MAC lipsticks are Crosswires, Sea Sheer n Ruby Woo ..
See Sheer suits you? I look look horrible with it! maybe cause I have pigmented lips :( but its such a pretty shade ya! It's so sad when things don't work for us.. I search, read reviews and buy a product and it turns out to be a dud for me..
huh.. My search for the perfect lip colour still goes on..